247 Plumbing Solutions were contacted to quote for a boiler replacement in Gravesend, Kent. A site visit and quotation were done FREE along with FREE advice that included the fitting of a MagnaClean filter system to protect the new boiler and heating system over its years of use in the future. 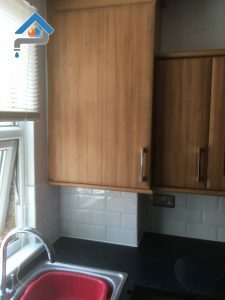 Concealed within one of the new kitchen units, 247 Plumbing Solutions expertly removed the old boiler, adapted the existing pipework to include a MagnaClean Filter and installed a new High Efficiency Vaillant boiler within the unit. Another very happy and satisfied customer who’ll be nice and warm this winter. 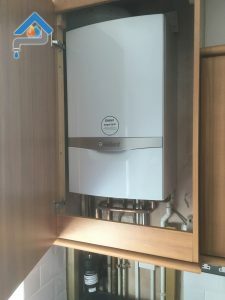 Considering a new boiler? An annual boiler service? Or a Powerflush of your existing system to make it more efficient and less costly to run?